RENAMED THREAD: The Korsfjord, and the official FLAKK-RØRVIK thread. Feeling really moved seeing these images of more-distant-than-usual Trondheimsfjord from here in the southern Mediterranean. OOOPPPSSS.... before you all start screaming at me, one of those images got posted twice.... I'm SORRY! ...not boring at all. Like your job: every day has different weather, passengers, currents. Here we have new light conditions, angles... i like it!! 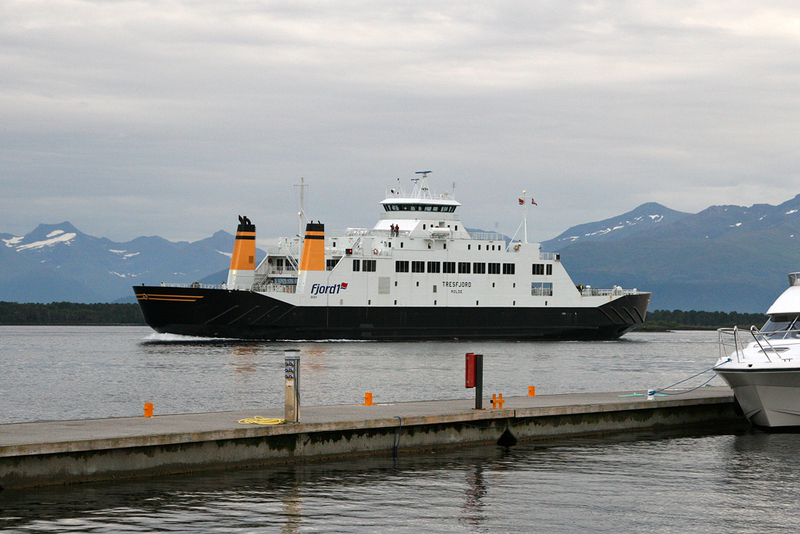 Tresfjord in Molde, august 2009. Than kyo very much, Ralf and Tommi. For me, I'm so bored with the ferry and Flakk - Rørvik, so I'm happy you both enjoy being a part of the day. Needless to say I adore the quadkopter shots of K which I well remember from your CaptainsPixel FB page. But here's something else I haven't seen before - Oh yes! ...the "before and after" images of the great deck paint-job when you wore out your hands and gave new meaning to the phrase "green fingers"!!!! Nice additions. Good to see you in action. And i like the birds perspective pictures, too! Yeapp, that deck gave me tens of blisters and a lot of green fingers for many days into my summer vacation!